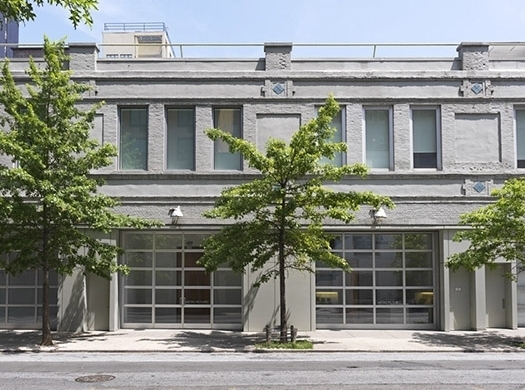 Metro Pictures was founded in 1980 by Janelle Reiring, formerly of Leo Castelli Gallery, and Helene Winer, formerly of Artists Space, at 169 Mercer Street in New York. The gallery’s inaugural exhibitions featured artists such as Cindy Sherman, Robert Longo, Troy Brauntuch, Jack Goldstein, Louise Lawler, Sherrie Levine, James Welling, Richard Prince, and Walter Robinson—artists who would later be identified by critics and historians as Pictures artists. Many of them were prominently included in the Metropolitan Museum of Art’s 2009 exhibition "The Pictures Generation.” Later, the gallery presented the first New York exhibitions of Mike Kelley, Jim Shaw, Gary Simmons, and John Miller, all of whom elaborated ideas proposed by the California conceptual artists with whom they had studied at CalArts. In 1983 the gallery relocated to 150 Greene Street. During this period René Daniëls and Martin Kippenberger had their first exhibitions outside of Europe at the gallery. Metro Pictures moved to its present location in Chelsea in 1997 and in 2016 1100 Architects renovated the gallery with an award-winning new design.